Clinical Trial Optimization Using R explores a unified and broadly applicable framework for optimizing decision making and strategy selection in clinical development, through a series of examples and case studies. It provides the clinical researcher with a powerful evaluation paradigm, as well as supportive R tools, to evaluate and select among simultaneous competing designs or analysis options. It is applicable broadly to statisticians and other quantitative clinical trialists, who have an interest in optimizing clinical trials, clinical trial programs, or associated analytics and decision making. 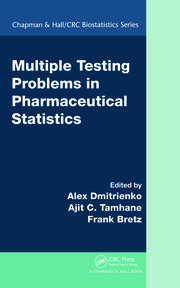 This book presents in depth the Clinical Scenario Evaluation (CSE) framework, and discusses optimization strategies, including the quantitative assessment of tradeoffs. A variety of common development challenges are evaluated as case studies, and used to show how this framework both simplifies and optimizes strategy selection. Specific settings include optimizing adaptive designs, multiplicity and subgroup analysis strategies, and overall development decision-making criteria around Go/No-Go. After this book, the reader will be equipped to extend the CSE framework to their particular development challenges as well. Alex Dmitrienko is President at Mediana Inc. He has been actively involved in biostatistical research with emphasis on multiplicity issues in clinical trials, subgroup analysis, innovative trial designs and clinical trial optimization. He has published over 90 papers and authored/edited three books. Dr. Dmitrienko is a Fellow of the American Statistical Association. Erik Pulkstenis is Vice President, Clinical Biostatistics and Data Management at MedImmune, and has worked in the medical device and biopharmaceutical industry for over 20 years. In addition, he served as a faculty member for the Institute for Professional Education teaching on categorical data analysis. His research interests include evidence-based decision making, precision medicine, and applications of statistical methods in oncology. 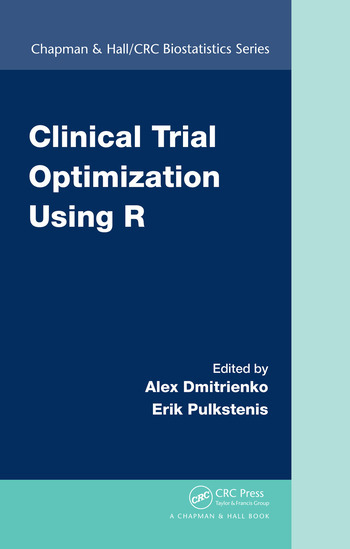 "The book Clinical Trial Optimization Using R by A. Dmitrienko and E. Pulkstenis gives a comprehensible introduction to the subject of Clinical Scenario Evaluation (CSE) and subsequent optimization . . . The authors present an approach that is easy to understand and to implement in R. The book is well structured, and the underlying principles are described in detail and illustrated by several case studies."